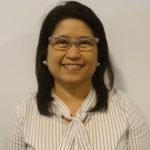 Dr Maria Adan-Bautista has recently moved from a practice in Brisbane to join the GBMC/PWFD team. Dr Maria was a Paediatric Registrar in training for 3 years at The Canberra Hospital, Mater Children’s Hospital and Royal Children’s Hospital, Brisbane among other hospitals. She also attained her Diploma in Child Health in 2010. Dr Maria offers General Medicine with a special interest in Women and Children’s Health. Dr Arocena moved to Queensland in 2005 after completing his medical degree Internship in Mackay Base Hospital, North Queensland. He has worked in several locations, some being as an RMO in Toowoomba as well as the QE2Hospital in Brisbane for 4.5 years in the emergency department. Dr Arocena has a keen interest in Occupational medicine, paediatrics, general medicine, sports injuries, chronic disease management and travel/tropical medicine. Dr Peter de Wet was born in South Africa and moved to Brisbane with his family when he was 8 years old. After graduating from the University of Queensland he immediately started work at the Princess Alexandra Hospital. Here he underwent his internship, residency and spent a year as an orthopaedic surgery registrar. Dr de Wet’s areas of interest within general practice are sports, trauma and minor procedures. Dr de Wet is currently consulting at Pelican Waters Family Doctors Tuesday and Thursday and at Golden Beach Medical Centre Monday and Friday. Dr Michael Hayes has over 29 years experience in General Practice and is interested in all areas of general medicine, including Geriatrics, Paediatrics, Travel Medicine and the treatment of solar keratosis and skin malignancies. Dr Hayes allocates Wednesdays to either home or Nursing Home visits or in training RACGP registrars. Unfortunately Dr Hayes is unable to take on new patients at this time. He has also satisfied the training requirements and holds a Fellowship of the Royal Australian College of General Practitioners and is on the Vocational Registrar of General Practitioners. Dr Hayes has attended a number of post-graduate medical courses in Skin Cancer Medicine. Unfortunately Dr Hayes is unable to take on new patients at this time. Dr Stacie King Graduated in 2006 from the University of Tasmania and moved to Sydney where he completed his internship. He worked for a number of years as a registrar in surgery working in cardiothoracic, vascular, trauma and general surgery.Searching for a better work-life balance, Dr King moved to Queensland to pursue a career in general practice. In addition to general practice, he worked as a senior medical officer for QLD Health in the state’s north combining general medicine with his passion and skill for surgery, trained in endoscopy and worked as a senior lecturer for James Cook University.Despite his interest in all facets of general medicine, Dr King has a particular interest in surgical problems, preventive medicine, nutrition, and obesity; and the implications of these on general well-being and chronic disease. Dr McKenzie is a General Practice Registrar working towards her Fellowship with the Royal College of General Practitioners. She enjoys all areas of medicine but has an interest in Child and Adolescent Health, Women's Health as well as Mental Health. Dr McKenzie graduated from the University of Sydney in 2010 with a Bachelor of Medicine and Bachelor of Surgery. Since graduation she has worked in a number of hospitals in various areas of medicine in both NSW and Queensland, including in many regional areas before transitioning into General Practice. Dr McKenzie is currently working Monday and Wednesday at Pelican Waters family Doctors and Friday at Golden Beach Medical Centre. Dr Thao Nguyen studied medicine at The University of Melbourne and graduated in 1998. Dr Thao Nguyen enjoys all aspects of General Practice including paediatrics, women’s health, minor surgical procedures and geriatrics. She also offers medicare rebatable acupuncture service. Dr Ryan O'Donnell grew up in North Queensland. He Graduated from the University of Queensland. He has been practicing on the coast since 2012. He is interested in all areas of general practice with particular interest in Pediatrics, Men's Health and Chronic disease. Dr Monica Woo graduated from the University of Queensland Medical School. Prior to joining Golden Beach Medical Centre she worked at the Mater Hospitals in Brisbane as well as private practice in Bundaberg, before gaining her RACGP Fellowship. Monica has a special interest in Inflammatory Bowel Disease, as well as chronic hepatitis (B and C) and is an s100 prescriber for HBV medications. Dr Woo bulk bills children 15 years and under, care plans (including mental health care plans), health assessments and wound dressings all other patients will be privately billed with pension card holders accessing a discounted rate.